A few weeks ago, after Ally Financial halted all its foreclosure proceedings because it had discovered “important but technical defects” in its paperwork, all hell broke loose. 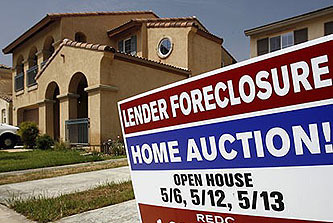 Home foreclosures, it turned out, were routinely based on documentation that was sloppy at best and fraudulent at worst, and the stories since then have just kept getting worse and worse. …The Ices had uncovered what looked like a pattern, so Tom booked a deposition with Stern’s top deputy, Cheryl Samons, and confronted her with the backdated documents—including two from cases her firm had filed against Ice Legal’s clients. Samons insisted that the filings were just a mistake, so the Ices moved to depose the notaries and other Stern employees. On the eve of those depositions, however, the firm dropped foreclosure proceedings against the Ices’ clients. If you want to know where it all started, read the whole thing. When you’re done, you’ll no longer wonder how all of this could have happened. It was baked into the cake from the start.